Note : Entry Fee might be change during seasons and special days. 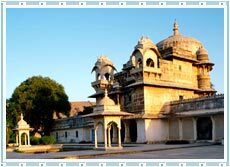 Jag Mandir Palace is located on a island in the Lake Pichola of Udaipur city. One can easily reach here with local taxi, private buses or cab.